Classic sci-fi horror adventure System Shock is getting a reboot by Nightdive Studios. Though it’s currently in its embryonic pre-alpha phase and still raising money on , there’s a demo of the remake available so we decided to give it a spin and see how it compares to the Enhanced Edition of the original adventure (which was also spruced up by Nightdive Studios). 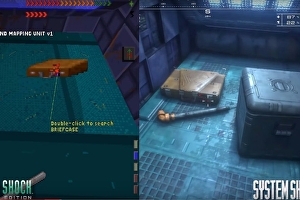 This video covers the visual changes System Shock has undergone between then and now, but if you want to know how the gameplay has been altered, we recently about the studio’s vision for this reboot. For more on the System Shock remake, our Martin Robinson , calling Nightdive’s approach “a Kickstarter campaign done right.” Indeed the crowdfunding campaign is going well so far with $680k of its $900k goal met after only three days.